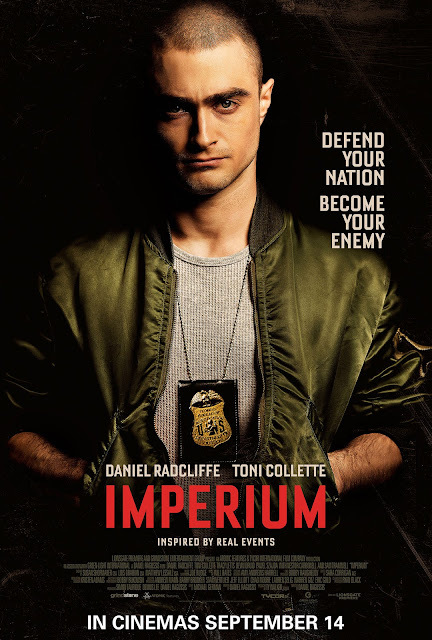 Daniel Radcliffe, who rocketed to worldwide stardom in the phenomenal “Harry Potter” films, stars anew in the intense action thriller “Imperium.” Inspired by real events, the movie is directed by Daniel Ragussis and also stars Toni Collette, Tracy Letts, Devin Druid, Pawel Szajda with Nestor Carbonell and Sam Trammell. In “Imperium,” Radcliffe takes on the role of Nate Foster, a young, idealistic FBI agent who goes undercover to take down a radical right-wing terrorist group. The bright up-and-coming analyst must confront the challenge of sticking to a new identity while maintaining his real principles as he navigates the dangerous underworld of white supremacy. “Imperium” co-writer Mike German has the kind of pedigree that commands respect: he served in the FBI for 16 years, 12 of them as an undercover agent tasked with infiltrating dangerous white supremacy groups in order to prevent domestic terrorist attacks. German successfully embedded himself with extremist groups on multiple occasions, leading to criminal convictions. German’s real life experiences infiltrating homegrown white supremacist terror cells intent on starting race wars, form the basis of the “Imperium” screenplay. Setting the movie in the present day was something German and Ragussis quickly agreed on, believing the film could better address important law enforcement and terrorism prevention issues that have dominated the national conversation. Therefore, the film brings attention to the FBI’s seldom discussed racial-ethnic mapping program, in which American Muslims and other minority populations are controversially targeted. 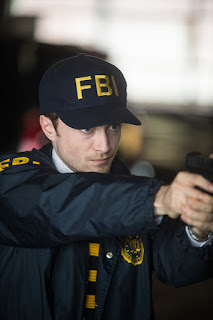 IMPERIUM also explores the challenges faced by FBI agents working with limited resources to prevent domestic terrorism from white supremacists and other right-wing extremist threats. With the government prioritizing the fight against the Islamic terrorist threat, FBI agents working on battling domestically cultivated perils often must fight for funding and proper support.